A perfectly proportioned accent chair, the Elgin resonates classic design with a soft rounded back, tapered legs and elegant arms. Upholstered in Long Eaton, the Elgin comes in a range of different Heal's fabrics, making it perfectly suited to your living environment. 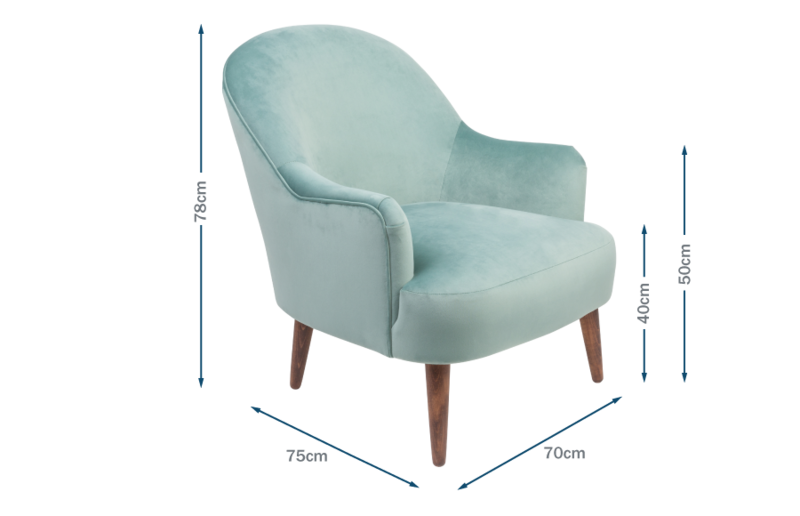 The small proportions of the chair hug the user, creating a comfortable sit for all. The silhouette of the chair captures mid-century influences, and will look great as an accent chair in a bedroom or sitting room. 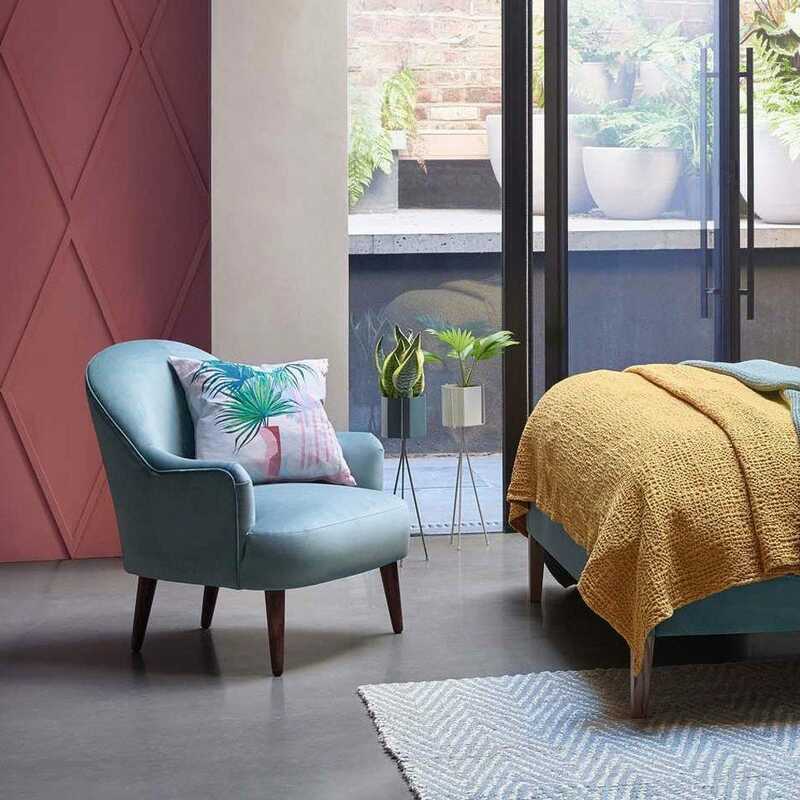 Designed exclusively for Heal's and produced by master upholsterers in Long Eaton. Beautifully upholstered in a variety of Heal's fabrics, also available in designer Myer Halliday print. Comfortable chair with a curved silhouette creates a snug chair perfect for any shape height or build. Chair has a small footprint for small living spaces, a practical yet statement chair. Piping around the silhouette of the chair outlines the beautiful curves that hug the user. Curved silhouette captures mid-century influences. Legs made of solid timber beech or stained oak, both sturdy and robust options. Glued, dowelled and screwed, using solid hardwood timber. Available in all Heal's fabrics as well as special edition Myer Halliday print. Solid timber beech or oak.